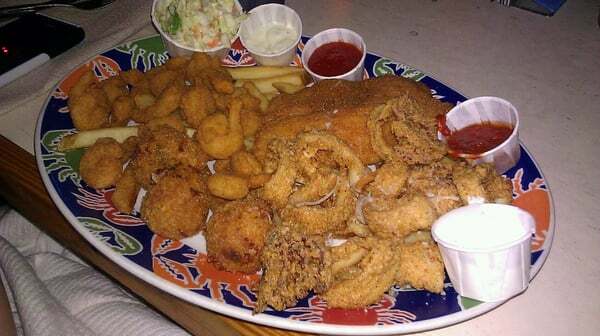 Nothing gets me more excited than looking at a big plate of seafood. 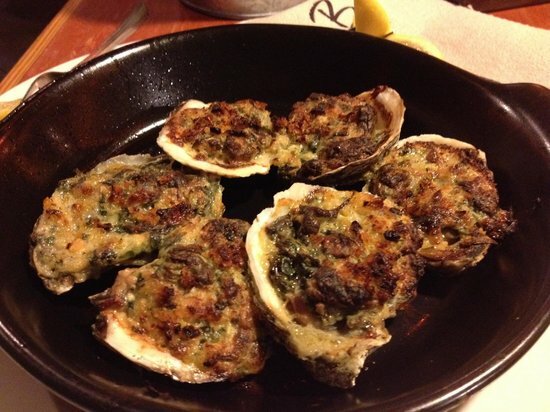 This post will explore the options available at Joe's Crab Shack. You will see the actual plates as they were served in the restaurant and get links to the recipes to make your favorite entrees at home. This will hook you up & get you stuffed. 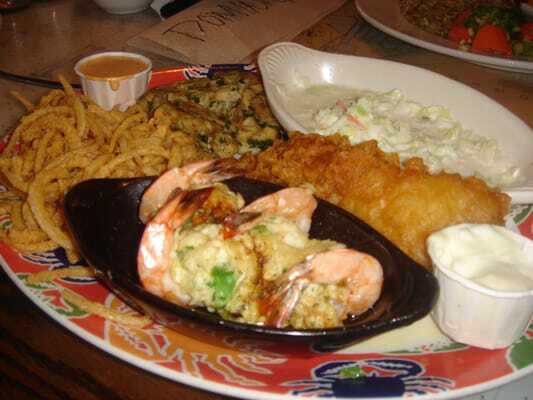 great balls of fire, fish and chips, coconut shrimp, crab stuffed shrimp, hushpuppies and coleslaw. can you handle this? Sells for around $24.00 at Joe's Crab Shack. 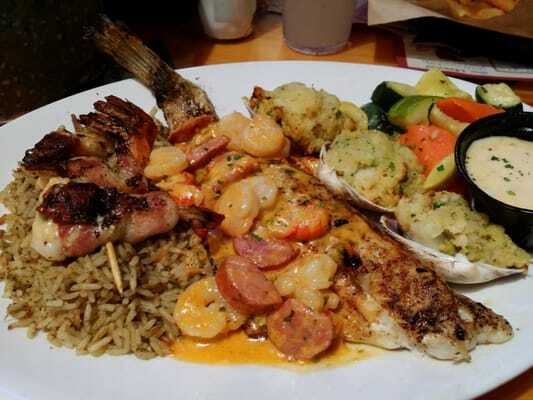 This dish has blackened fish topped with Orleans sauce, 3 Joe's Stuffers, and 3 southern stuffed shrimp. Served with dirty rice and seasonal vegetables. Sells for around $$20.00 at Joe's Crab Shack. 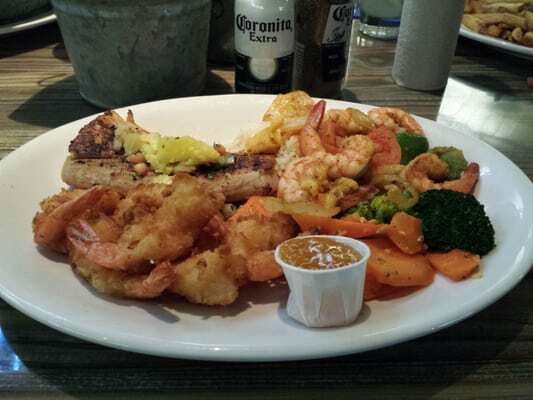 This platter has coconut shrimp, shrimp sauteed in a smoky chipotle sauce full of pineapple, bell pepper and onion, grilled mahi topped with mango salsa. Served with white rice and seasonal vegetables. Sells for around $21.00 at Joe's Crab Shack. 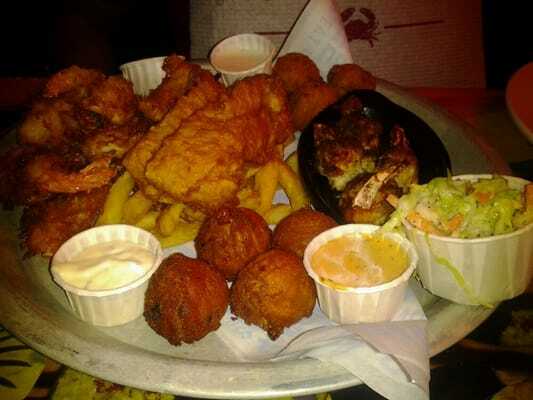 A big plate of golden popcorn shrimp, crispy fish fillet, great balls of fire and calamari. Sells for around $17.00 at Joe's Crab Shack. 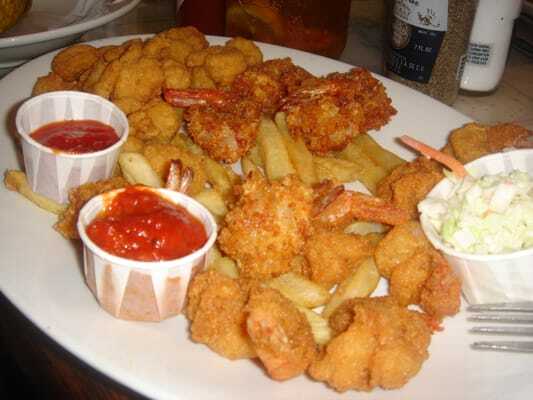 Fried shrimp, coconut shrimp and parmesan panko shrimp. with fries and coleslaw. Fish and chips, crab stuffed shrimp and a crab cake. Served with onion strings. Sells for around $20.00 at Joe's Crab Shack. Crawfish etouffee served with white rice alongside crispy fried crawfish. Sells for around $18.00 at Joe's Crab Shack. Lump meat crab cakes served with fries, coleslaw and spicy sriracha remoulade sauce. Sells for around $19.00 at Joe's Crab Shack. 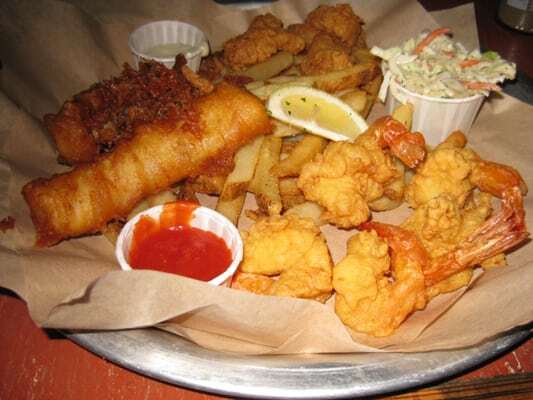 Crispy fish fillet, crunchy shrimp and lightly breaded scallops with fries and coleslaw. Crab stuffed shrimp, grilled malibu shrimp and coconut shrimp. Served with white rice and seasonal vegetables. Grilled lobster topped with butter and OldBay Seasoning, bacon wrapped shrimp and scallops. Served with dirty rice and seasonal vegetables. Sells for around $26.00 at Joe's Crab Shack. All of the recipes are included in this blog. Click on the links. Since you are making it at home just pick and choose the items you want to include in your Joe's Crab Shack inspired seafood platter.